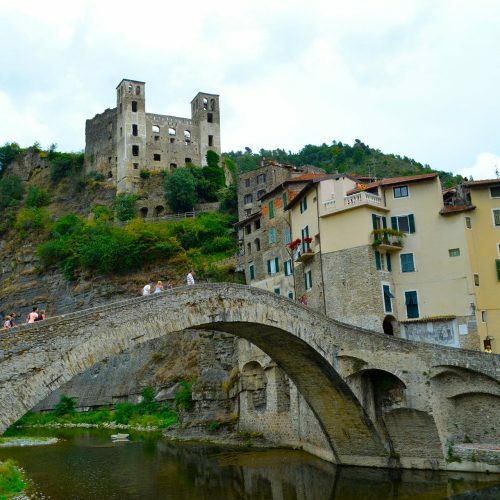 When I arrived in the village of Dolceacqua what presented at first glance to my eyes was, the “Doria castle”. Up there, clinging on the rock with majestic dominance, there it was. Under it, a neighborhood named “Land”, just because it lays at the castle’s mountain foot. The streets named (in the dialectical idiom of those places) carrugi, are so beautiful. When watching those same streets, they make your mind travel back into a remote past. And to not also mention, the San Giorgio church near a cemetery. That church still keeps a mix of Romanesque, Gothic, and Baroque architecture styles. At launch time as usual in those places, was served a, “Rossese di Dolceacqua” D.O.C. ( DOC stands for: wine of Controlled Denomination of Origin, it means that is the best wine you can find in Italy). Afterwards the guy which was serving the wine, told us the story about that wine: someone tells us that it was introduced in the Ligurian region by the Etruscan people, but others told us that it was imported by the Dorian family. In addition, they add to the story that Napoleon himself was a devotee of this great wine which he discovered during a visit to the Doria castle. 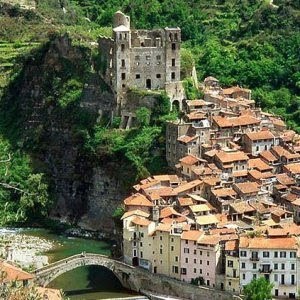 He liked the Rossese of Dolceacqua’s wine so much, that he thought to substitute the wine original name with his own name, but because of the Ligurian people’s proud he couldn’t do it. At some point we sat at a table outside, where there was a quiet atmosphere with a luxuriant nature all around us. As soon we seated the air was filled with the scent of a pesto sauce. Later we had, a coniglio (rabbit) ligurian style with taggiasche olives and ligurian olive oil. But, let’s stop a while on the “pesto” word. Do you know where the name of pesto came from? 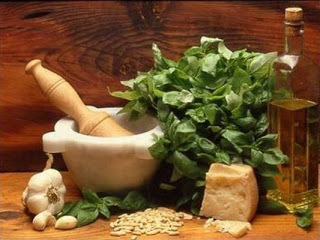 Its name came from an old method of preparation, through the pounding of basil leaves inside a mortar made of marble with a wooden pestle (pesto: a diminutive of the Italian name of pestare-in English to crush). After crushed the basil leaves inside the mortar (hence the name of pesto – to crush) add a mix of pine nuts, garlic, salt, ligurian olive oil, pecorino and parmesan. Keep it pesting (hops) I mean crushing, until from all the crushing (lucky you) of the herbs compound you have done, you’ll get a fine source, and here you have it…the Pesto’s sauce. The Pesto has obtained the D.O.P. (Protected Designation of Origin) recognition, and now this sauce is famous throughout the world. I remember the time we decided to visit the caves of Toirano. I was fascinated by the idea of seeing with my own eyes the traces of’ Prehistoric man and a cemetery of bears of 12 million years ago! A hundred and fifty natural caverns that are still these days the subject of researchs by international scholars. 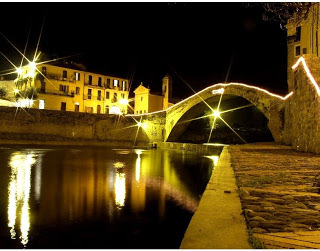 Toirano is one of the oldest cities in Italy and it is famous throughout the world. After that visit we went to Albenga, in a farm of friends of mine. From there we admired the sea and Gallinara Island. I was very interested about the history of that island and I was told that the island took its name from wild hens that lived there in the past. On the island there is a former monastery from Benedictines monk, as well a watch tower of roman origin and a little chapel, which has been built to honor Saint Martin who has been hiding on this island for some years when he was persecuted by the Heretics. In World War II , German soldiers were stationed on the island . They built a tunnel system underground the island, which can still be seen today. Wow! Really fascinating, isn’t it? Under the sea near this island, archaeologists found ancient wrecks and artifacts. The people from that place told me, that the diving near the island had been banned because of the presence of unexploded bombs on the seabed and by the presence of an old relic (eighteenth century). Today thanks to a municipal order, people are allowed again to dive in but must be accompanied by specialized guides. That day we visited Albenga. 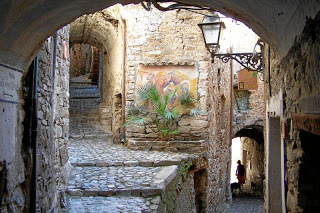 Albenga is a modern ciy, but in every corner it retains memories of its historical roots: ancient towers, medieval wall, nubliar monuments, Cathedral and various religious buildings. Underground there are also, magnificient archeological reperts. It was late afternoon when we decided to go in a beautiful little restaurant for lunch, in there we had some fresh fish and we did not miss a glass of Pigato (Pigato is with the Rossese and Vermentino, a white wine D.O.C.) served with bruschetta with a top of taggiasche olives’ creme, pesto, and to finish the lunch with some of the delicious Ligurian cakes. 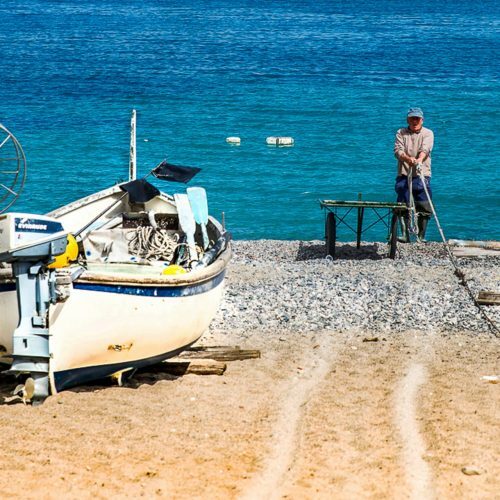 Planning a trip to the Riviera dei fiori? Here you can find more! Next PostA halloween night in Triora witches village in Italy!